College student during the day, extraordinary fighter by night. 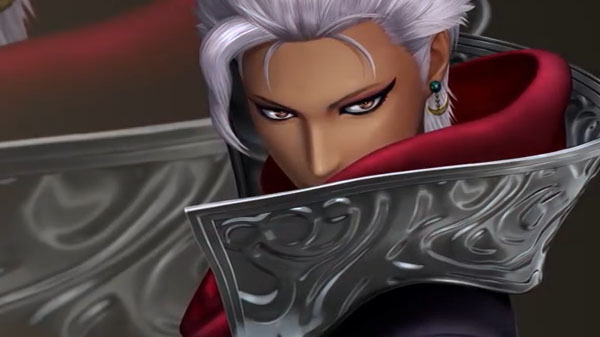 SNK has announced that Najd, the fan-created Saudi Arabian female fighter, will join The King of Fighters XIV as a downloadable content character in April alongside the previously announced Oswald, Heidern, and one additional fighter. Najd (voiced by Ayaka Fukuhara) is a very quiet person dressed with an Abaya (traditional Saudi garment) with extraordinary powers. At night, she puts on her Abaya and turns into a vigilante to protect her fellow citizens. In contrast to her mysterious appearance, she is a college student during the day. The King of Fighters XIV is available now for PlayStation 4 and PC. Watch the Najd reveal trailer and a message from voice actress Ayaka Fukuhara below. View a set of screenshots at the gallery.